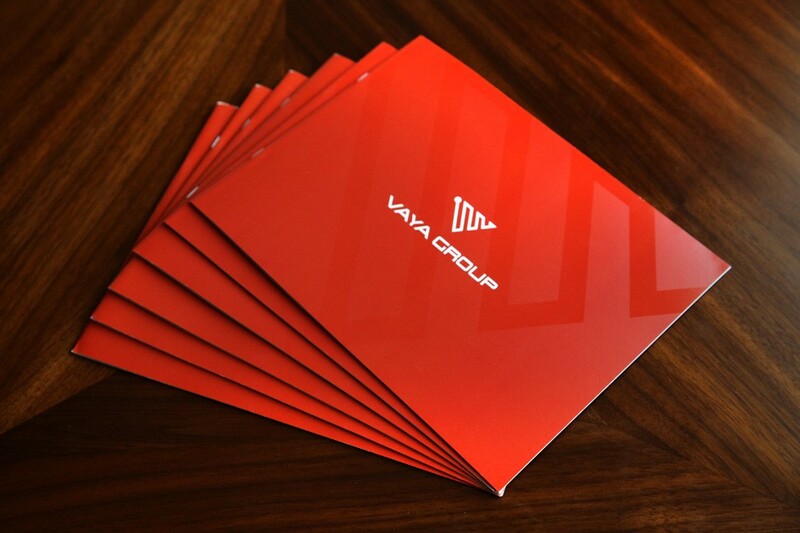 Vaya Group provides talent management services to Fortune 1000 companies. This was a fun, custom piece to make for a corporate company that isn’t afraid to step a little outside the box. 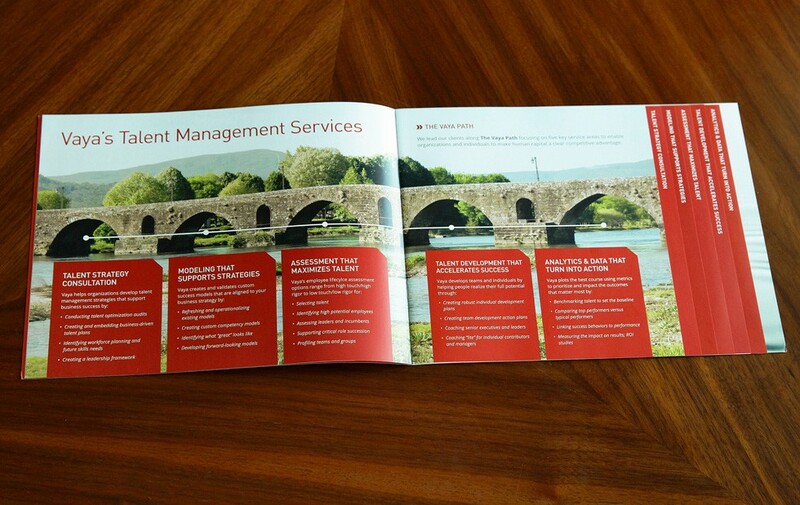 This is a saddle-stitched, landscape booklet with cascading inner pages. 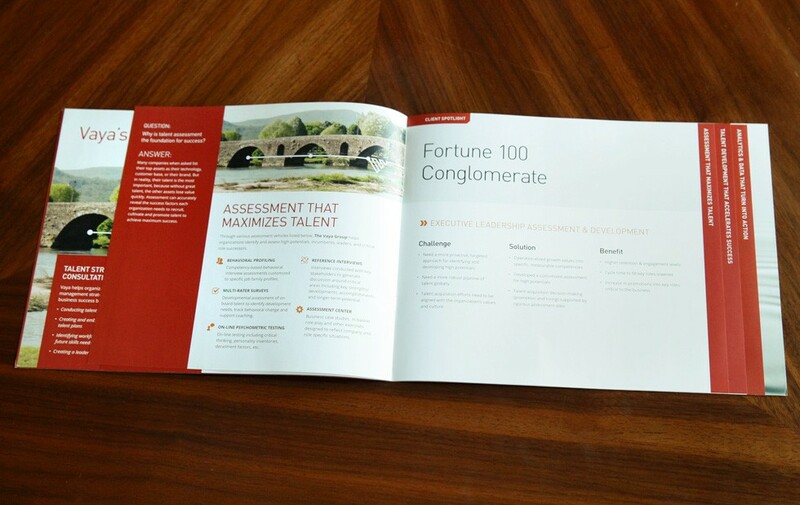 Using their bold red color and large photography, we brought their content to life and created a unique and functional layout. 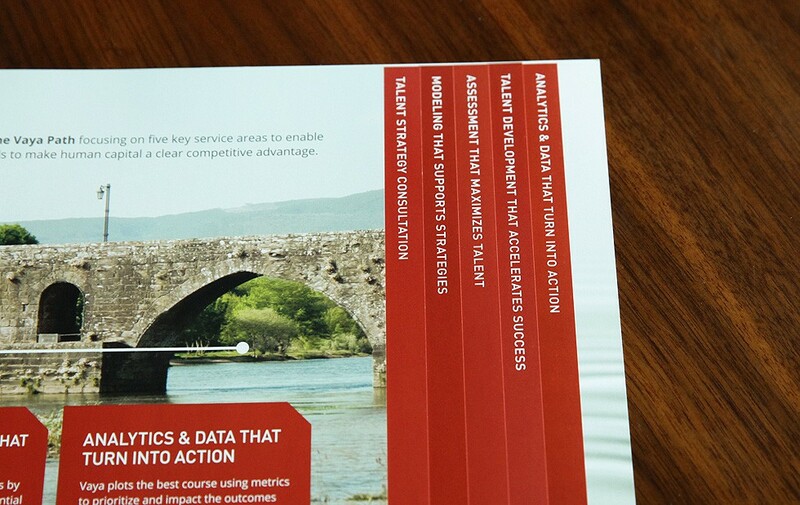 The cover features a large version of their logo icon in the background printed in spot varnish. 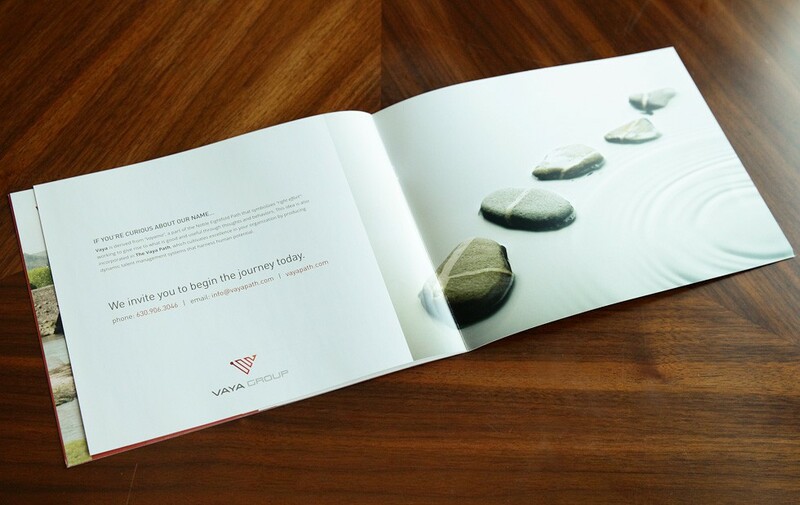 We used cascading pages on the inside to creatively display their services, giving the reader an easy way to navigate through the booklet and find the information they need.